In my ongoing efforts to heal any remaining psychological and emotional birth trauma, I've been working on a new series of paintings. I'm not going to share any of the artwork here at this time, however, the work has also inspired my photography in some aspects. The photo series, of which two are shown here, below, is entitled "RED" and mostly reminds me of all the blood that was shed in the act of bringing my child outside of myself. It was a struggle, and is still something I struggle with at times. One of the things that most strikes me now is the fact that the natural act of pushing a child out was the complete opposite in our case, as the doctors pulled him out of me through a new portal that was cut into my flesh. It was disturbing and it felt completely unnatural - the pulling rather than pushing. I felt like a failure as a woman, in my inability to naturally birth my baby. People will tell me it's a silly thing to be stuck on, as we're both here and healthy now, but just because I didn't suffer something worse, or have the absolute worst-case scenario happen doesn't mean that my feelings aren't valid. The creative process helps me to move through the many layers of grief, confusion, blame, and healing. 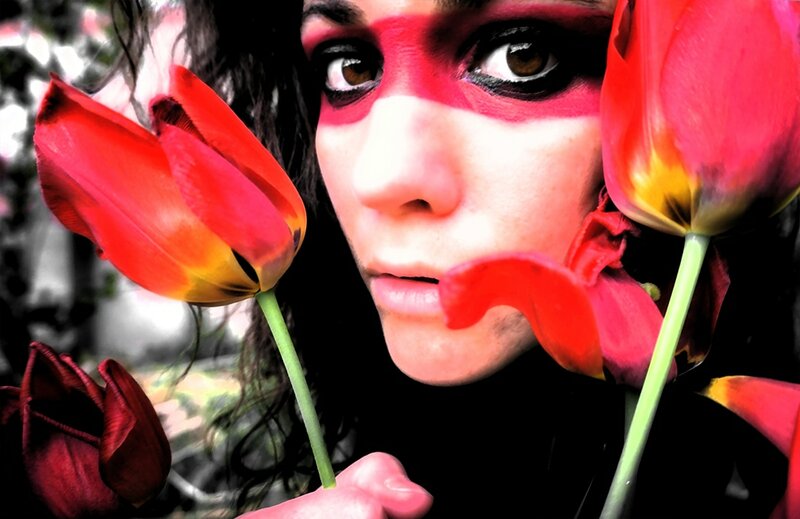 RED - Fear: I felt like a super hero with this band of red makeup on, but in this shot I look less fearsome than I felt. It is a metaphor for my birth experience. I went into it feeling like a super woman, like it would be easy. I came out of it broken and fearful. Cut and bruised (and scarred). It's taken me a while to find that warrior within once again, but she is still there. 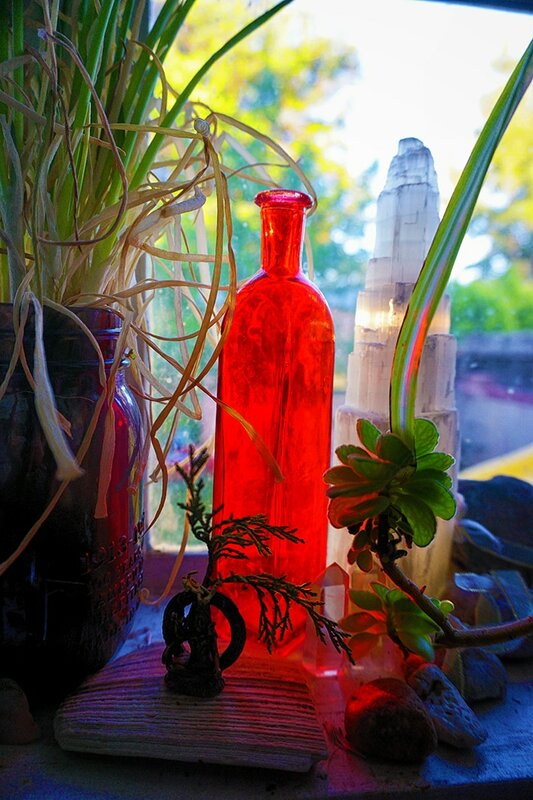 RED - Vessel: The setting sun was reflecting off my neighbor's window and making a spotlight just on this red glass bottle on my windowsill. It highlighted the importance of the vessel. I felt broken for quite some time, but am growing whole again. I like to envision my cuts and imperfections being filled with golden light, filling up my darkness and mending my broken pieces with light. Just like Kintsugi, where broken pottery is put back together, the pieces joined by gold.